When the beta cell mass or function declines beyond a critical point, hyperglycaemia arises. Little is known about the potential pathways involved in beta cell rescue. As two cytokines, epidermal growth factor (EGF) and ciliary neurotrophic factor (CNTF), restored a functional beta cell mass in mice with long-term hyperglycaemia by reprogramming acinar cells that transiently expressed neurogenin 3 (NGN3), the current study assesses the effect of these cytokines on the functional beta cell mass after an acute chemical toxic insult. Glycaemia and insulin levels, pro-endocrine gene expression and beta cell origin, as well as the role of signal transducer and activator of transcription 3 (STAT3) signalling, were assessed in EGF+CNTF-treated mice following acute hyperglycaemia. The mice were hyperglycaemic 1 day following i.v. injection of the beta cell toxin alloxan, when the two cytokines were applied. One week later, 68.6 ± 4.6% of the mice had responded to the cytokine treatment and increased their insulin+ cell number to 30% that of normoglycaemic control mice, resulting in restoration of euglycaemia. Although insulin− NGN3+ cells appeared following acute EGF+CNTF treatment, genetic lineage tracing showed that the majority of the insulin+ cells originated from pre-existing beta cells. Beta cell rescue by EGF+CNTF depends on glycaemia rather than on STAT3-induced NGN3 expression in acinar cells. In adult mice, EGF+CNTF allows the rescue of beta cells in distress when treatment is given shortly after the diabetogenic insult. The rescued beta cells restore a functional beta cell mass able to control normal blood glucose levels. These findings may provide new insights into compensatory pathways activated early after beta cell loss. Luc Baeyens and Harry Heimberg are joint senior authors of this study. The online version of this article (doi: 10.1007/s00125-016-4023-3) contains peer-reviewed but unedited supplementary material, which is available to authorised users. Loss of beta cell mass and function result in chronically elevated glycaemia that may result in diabetes. Reinstating a functional beta cell mass that is capable of monitoring normal blood sugar level may serve as effective disease treatment. The nature of cells within the adult pancreas able to give rise to new beta cells is the subject of debate. Genetic lineage tracing in mice demonstrates that, under conditions of normal physiology or modest beta cell damage, pre-existing beta cells are responsible for turnover and compensatory growth [1, 2]. In addition, dedifferentiation of beta cells is also identified as an important mechanism for beta cell failure in studies on beta cell survival and mass, both in vitro  and in vivo . However, the extent of the tissue insult appears to be a determining factor in the origin of new beta cells. In an experimental setup, facultative progenitor cells can be activated as an in vivo source of new beta cells in the adult pancreas following extensive tissue damage . Although these cells seemed to originate from cells located along the lining of the exocrine ducts, a duct origin was contradicted by genetic lineage tracing with different duct-specific promoters [6, 7, 8, 9, 10]. In adult mice, alpha cells can be an alternative source of new beta cells as shown by diphtheria toxin-induced near-total beta cell ablation  and by forced expression of paired box 4 (PAX4) , while delta-to-beta cell transdifferentiation occurs in juvenile mice following beta cell ablation . Successful treatment of hyperglycaemic mice with epidermal growth factor (EGF) and gastrin  suggested acinar cells as a possible source of novel beta cells, but recent cell-lineage tracing rejected this hypothesis . An acinar origin of beta cells following regeneration of injured pancreas was also disproved by genetic cell-lineage tracing in mice . Nonetheless, transduction of acinar cells by three pancreatic transcription factors necessary for beta cell development was sufficient to induce direct conversion of acinar to functional beta-like cells . Regeneration models that depend on genetic or surgical manipulation, however, hold limited promise for clinical application. We previously reported the ability of two cytokines, EGF and ciliary neurotrophic factor (CNTF), to induce acinar-to-beta cell transdifferentiation in mice with long-term hyperglycaemia . These effects were mediated by neurogenin 3 (NGN3) expression and depended on signal transducer and activator of transcription 3 (STAT3) activation in the acinar compartment. In the present study, we elaborate on the effects of this combined cytokine treatment in mice with acute chemical beta cell toxicity. We show that EGF+CNTF reinstates a functional beta cell mass through rescue of pre-existing beta cells combined with a marginal acino–insular transdifferentiation accompanied by Ngn3 activation. All mouse experiments were performed according to our institutional ethics committee for animal experiments (project number 10-274-12), following the national guidelines and regulations. All mice strains have been described previously [1, 6, 16, 19, 20, 21, 22]: RipCreERTR26LacZ, Hnf1b CreERTR26LacZ, Ela CreERTR26LacZ, Ngn3 YFP, MIPGFP, Ptf1a CreERTR26YFP and Stat3 F/F. Commercial C57Bl/6J mice were purchased from Jackson Laboratory (Bar Harbor, ME, USA). Mice used were males aged 10–12 weeks. Animals were group housed and received cage enrichment. Mice were injected with the beta cell toxin alloxan (ALX) or vehicle (normoglycaemic [NG]) followed 1 day later by treatment with cytokines EGF and CNTF (ALX1d/CK, NG1d/CK) or vehicle (ALX1d/CTR, NG1d/CTR). The effect of toxin and cytokines was evaluated by measurement of glycaemia, body weight, insulin in pancreas and serum and abundance of transcripts coding for exocrine and endocrine (progenitor) cell markers. Analysis of the number of reporter+ cells from digested pancreas of Ngn3 YFP mice was by flow cytometry. Lineage tracing of beta and acinar cells involved tamoxifen (TAM) exposure and wash out, immunohistochemistry and immunocytochemistry. Plasma insulin concentration was determined with the Mouse Linco Insulin ELISA kit (Merck Millipore, Darmstadt, Germany). Total pancreas insulin content was determined using a mouse insulin radioimmunoassay kit (Linco Research, St Charles, Missouri, USA). Insulin pellets (LinShin, Toronto, ON, Canada) were implanted subcutaneously under the mid dorsal skin at a dosage of two pellets for the first 20 g body weight and one pellet for each additional 5 g body weight (according to the manufacturer’s instructions). Antibodies used included guinea pig polyclonal anti-insulin (gift from C. Van Schravendijk, Vrije Universiteit Brussel, Brussels, Belgium); rabbit polyclonal anti-NGN3 , rabbit polyclonal anti-pancreatic and duodenal homeobox 1 (PDX1) ; rabbit polyclonal anti-Ki67 (Novocastra, Newcastle upon Tyne, UK) and anti-amylase (AMY) (Sigma-Aldrich, Bornem, Belgium), rat polyclonal anti-keratin 19 (Troma-III, Hybridoma Bank, University of Iowa, Iowa City, IA, USA), goat polyclonal anti-p48 (C.V. Wright, Vanderbilt, University, Nashville, TN, USA) and goat polyclonal anti-green fluorescent protein (GFP) (Abcam, Cambridge, UK). All antibodies were validated in previous studies. All methods were performed as described previously , with details in the electronic supplementary material (ESM) Methods. Morphometry of the insulin area and determination of the beta cell fraction were performed by sectioning and analysing 2% of the total pancreas. Beta cell death was analysed using the TUNEL assay (in situ cell death detection kit, TMR Red; Roche, Mannheim Germany) according to the manufacturer’s recommendations. Actively cycling beta cells were detected by immune staining for Ki67 and insulin. Counting of TUNEL+, GFP+ and Ki67+ beta cells was performed by serial sectioning of the entire pancreas followed by staining and counting every 30th section. A minimum of 4000 insulin+ cells were counted per pancreas. All values are shown as mean ± SEM from three or more independent experiments and considered significant if p < 0.05. All data were statistically analysed using either unpaired Student’s t test, one-way ANOVA or a linear mixed effects model. The results have been substantiated in two different laboratories (Vrije Universiteit Brussel and University of California San Francisco) but performed under similar conditions. Animals were randomly assigned to control or treatment groups. Analyses were performed on all samples and animal identification was verified post acquisition. No animals were excluded from the study based on experimental outcome. A combination of the cytokines EGF and IL6-receptor ligands leukaemia inhibitory factor (LIF) or CNTF is capable of reprogramming acinar cells into insulin-producing beta-like cells in vitro  and in vivo  via temporal re-expression of the pro-endocrine basic helix–loop–helix (bHLH) transcription factor NGN3 . In the present study, the effects of EGF and CNTF were tested in acute diabetic mice (ESM Methods). Hyperglycaemia was provoked by i.v. injection of a single dose of the beta cell toxin ALX . Compared with normoglycaemic mice, ALX-treated mice displayed a sharp and irreversible increase in their blood glucose levels. Cytokine or vehicle was applied through a mini-osmotic pump implanted in the peritoneum 24 h after ALX injection and releasing the factors at a constant flux rate over a 7 day period (Fig. 1a). The effect of the growth factors was also evaluated in NG1d/CK mice. No significant difference in blood sugar levels was observed between NG1d/CTR and NG1d/CK mice. However, ALX1d/CTR and ALX1d/CK mice significantly differed in glycaemia (29.7 ± 1.7 vs 18.4 ± 4.0 mmol/l; p < 0.01) (Fig. 1b). Retrospectively, the ALX1d/CK group of 35 mice was subdivided into 24 animals that responded to the treatment (ALX1d/CK resp) (68.6 ± 4.6% of all ALX1d/CK mice) and were indistinguishable from NG mice (p > 0.05) and 11 unresponsive (ALX1d/CK unresp) animals that remained hyperglycaemic (p > 0.05 vs ALX1d/CTR) (Fig. 1b). Body weight in the NG animals remained stable while ALX injection caused 10 ± 1% weight loss (ALX1d/CTR). Cytokine-treated mice lost an additional 5 ± 2% of weight (ALX1d/CK), concordant with previous reports of CNTF action [28, 29] although we did not observe such a negative effect of CNTF on body weight in NG1d/CK mice. The apparent difference between ALX-treated mice is not statistically significant (Fig. 1c). In animals followed for up to 35 days beyond the 7 day cytokine-release period, glycaemia in the responsive mice remained normal and that in the unresponsive ones high (Fig. 1d). Both total pancreas insulin content and serum insulin levels in ALX1d/CK mice reached 50% of the values detected in NG1d/CTR mice (Fig. 1e, f) (ESM Methods). Thus, the combination of CNTF and EGF is capable of reversing ALX-induced hyperglycaemia in mice. To dissect the mechanism behind the growth factor-induced normalisation of glycaemia, the mRNA expression of key regulator proteins in pancreas formation and function was compared in cytokine-treated and control mice at day 7. The transcript level of Ngn3 (also known as Neurog3) was markedly increased in the ALX1d/CK but not in ALX1d/CTR mice (Fig. 2). A similar increase was observed for Pdx1, Ins1 and Ins2 expression, while that of some acinar- (Amy) or duct-specific (Sox9 and Hnf1b) genes did not differ significantly. All primer sequences are listed in ESM Table 1. As the amount of NGN3-encoding transcripts increased, we analysed yellow fluorescent protein (YFP) reporter-expressing cells from dissociated pancreases of Ngn3 YFP mice  by flow cytometry, 7 days following the different experimental treatments under study (Fig. 3a) (ESM Methods). Hardly any YFP+ cells were detected in NG1d/CTR or ALX1d/CTR mice (<200 YFP+ events per pancreas). However, 2604 ± 194 YFP+ cells were isolated from the pancreas of ALX1d/CK non-responder mice, significantly more than from the pancreas of ALX1d/CK responder mice (n = 25; p < 0.05). The isolated cells were small, YFP-immunoreactive and insulin− (Fig. 3b). Single YFP+ cells were also detected in situ, dispersed throughout the pancreatic tissue (Fig. 3c). They were mainly located in the acinar compartment but on a few occasions were also near insulin+ cells at the border of islets. On the pancreatic sections, 24.7 ± 5.1% of the YFP+ cells still stained positive for endogenous NGN3 protein. More than 80% of the YFP+ cells co-expressed acinar cell-specific markers and approximately 7% expressed beta cell markers (insulin and PDX1), while none was found in the ductal compartment (cytokeratin 19+) (Fig. 3c, d) (ESM Methods). Concordant with the data on isolated YFP+ cells, the highest number of YFP+ cells was detected in situ in the tissue of the ALX1d/CK mice (7 ± 2 YFP+ cells per 104 cells) (Fig. 3e). In ALX1d/CK mice only, NGN3+ cells could be readily detected in acinar cells, defined by their co-expression of p48 (Fig. 3f). These results indicate that EGF+CNTF induced NGN3 expression predominantly in acinar cells of ALX mice. To disclose the origin of the insulin+ cells that appeared following cytokine treatment of ALX1d mice, cell-specific lineage tracing was performed. Beta cells were labelled by injecting RipCreERTR26LacZ mice with TAM 33 days prior to ALX treatment. A washout period of 24 days ensured clearance of the drug. At the end of the washout period, ALX was injected i.v. to render the mice hyperglycaemic and 24 h later the pump with either vehicle (ALX1d/CTR) or CK (ALX1d/CK) was implanted (Fig. 4a). This resulted in 81 ± 2% and 85 ± 2% of insulin+ cells reacting with Xgal+ and thus expressing the reporter gene, reflecting the recombination efficiency in control NG1d/CTR and ALX1d/CTR mice, respectively (Fig. 4b, lower left). The percentage of labelled beta cells decreased to 66 ± 4% in ALX1d/CK mice (n = 15, for each individual group; p < 0.01), suggesting approximately 15% contribution of non-beta cells to the beta cell pool after cytokine treatment. Remarkably, compared with the 2.1 ± 0.3% beta cells in the pancreas of NG1d/CTR mice, more than 30% of the insulin+ cell mass was protected in ALX1d/CK mice (0.6 ± 0.1%) but not in ALX1d/CTR mice (0.05 ± 0.01%) (Fig. 4b, lower right) (n = 15; p < 0.01 for NG1d/CTR vs ALX1d/CK; p < 0.05 for ALX1d/CTR vs ALX1d/CK). To define the non-beta cell pool that gave rise to beta cells in ALX1d/CK mice, pre-existing acinar cells were marked in Ela CreERTR26LacZ mice as in Fig. 4a. In ALX1d/CTR mice, no Xgal+ beta cells were found, whereas in ALX1d/CK unresp mice 2.3 ± 0.1% and in ALX1d/CK resp mice 1.6 ± 0.2% of the insulin+ cells reacted with Xgal (n = 20, for each individual group; p < 0.01 for ALX1d/CTR vs ALX1d/CK resp and ALX1d/CK unresp) (Fig. 4c, lower left). Taking the 30% recombination efficiency into account (this is the percentage of AMY+ cells that were Xgal+ [Fig. 4c, lower right]), these data indicate that approximately 6% of new beta cells converted from acinar cells. In Hnf1b CreERTR26LacZ mice that allow tracing of duct-derived cells, the fraction of reporter-expressing insulin+ cells was 0.7 ± 0.4% in NG1d/CTR, 0.8 ± 0.5% in ALX1d/CTR and 0.9 ± 0.6% in ALX1d/CK mice (n = 6; p > 0.05) while the recombination efficiency in these mice was approximately 20% (not shown). Because of the lack of statistical significance when comparing the fraction of reporter-expressing beta cells between the different experimental conditions, no conclusions about the contribution of duct cells to new beta cells can be drawn based on these data. Beta cell proliferation did not significantly differ between the experimental conditions (Fig. 4d), suggesting that cytokine treatment did not stimulate beta cell proliferation but normalised glycaemia by protecting the residual beta cells. To further evaluate the effect of cytokine on beta cell death, TUNEL assays were performed on ALX1d/CTR and ALX1d/CK mice, 18 h after implantation of the osmotic pump. All islets of ALX1d/CTR mice showed numerous TUNEL+ insulin+ cells, whereas in ALX1d/CK mice numerous islets showed little or no TUNEL positivity (ESM Fig. 1a, b). Using transgenic mice that express the reporter GFP under control of the mouse insulin promoter (MIPGFP) , we evaluated the presence of de-granulated GFP+ insulin− cells. Almost all GFP+ cells co-expressed insulin at 18 h after pump implantation in ALX1d/CTR as well as in ALX1d/CK mice (ESM Fig. 1a–c), arguing against an important role for beta cell de-differentiation in this process. Thus, treatment with EGF+CNTF immediately after exposure to ALX is associated with an increased expression of NGN3 in acinar cells, yet only limited acinar-to-beta cell lineage conversion. As beta cells do not show increased proliferation under these experimental conditions and as the number of apoptotic beta cells was significantly decreased in EGF+CNTF-treated mice, the beneficial effects of these cytokines on beta cell mass are primarily mediated by a protection against acute ALX-induced destruction of beta cells. When blood glucose levels were artificially controlled by implantation of insulin pellets (LinBit) on the day of ALX injection, the number of insulin+ beta cells detected in ALX1d/CK mice was strongly reduced (0.10 ± 0.03% in ALX1d/CK LinBit vs 0.90 ± 0.06% in ALX1d/CK mice; n = 6; p < 0.001) (Fig. 5a). ALX1d/CK LinBit mice also contain lower levels of pancreatic Ngn3 mRNA compared with ALX1d/CK mice (n = 6; p < 0.01) (Fig. 5b). In contrast, conditional deletion of Stat3 from acinar cells (Ptf1a CreER Stat3 lox/lox), previously shown to abrogate beta cell neogenesis by EGF+CNTF treatment following chronic hyperglycaemia , had no influence on the effect of the cytokines on glycaemia in responsive or unresponsive mice (Fig. 5c). Following cytokine treatment, NGN3 expression was not activated in Ptf1a CreER Stat3 F/F Ngn3 YFP mice with acinar cell-specific Stat3 deletion (Fig. 5d). A total of 1823 ± 65 YFP+ cells were isolated from ALX1d/CK resp Stat3 WT mice, 2460 ± 163 from ALX1d/CK unresp Stat3 WT mice and fewer than 200 YFP+ cells were isolated from ALX1d/CK mice with Stat3 knockout (Stat3 KO) mice, similar to the number found in ALX1d/CTR animals with wild-type Stat3 (Stat3 WT). Combined treatment of hyperglycaemic mice with EGF and gastrin has been previously reported to lower blood glucose levels and reinstate normal glycaemic control . Although we were able to confirm these results and demonstrate the effectiveness of EGF + gastrin (EG) treatment (ALX1d/EG mice) in reversing the hyperglycaemic state of the mice (ESM Fig. 2a), we were unable to demonstrate any NGN3 activation following this treatment (ESM Fig. 2b). The amount of YFP+ cells isolated from digested ALX1d/EG pancreases is very low (<200 YFP+ events per pancreas) and does not differ from ALX1d/CTR pancreases. Acinar cell-specific genetic lineage tracing showed that insulin+ cells expressing reporter were absent in these mice (ESM Fig. 2c), arguing against a potential contribution of acinar cell-derived beta cells in ALX1d/EG mice, in contrast to the ALX1d/CK model. In addition and in contrast to the data reported by others , beta cell-specific genetic labelling was similar in NG1d/CTR mice (82 ± 6% Xgal+ insulin+ cells) and ALX1d/EG mice (78 ± 5% Xgal+ insulin+ cells; n = 4; p > 0.05), suggestive of the absence of beta cell neogenesis under these experimental conditions. Our data demonstrate that the combination of cytokines EGF and CNTF is capable of reversing chemically induced diabetes in mice. Depending on the duration of the diabetic period and the severity of the insult, the mechanism by which the cytokines reinstate normal glycaemic control differs. We previously reported that EGF+CNTF reinstates a functional beta cell mass in long-term hyperglycaemic mice through acinar cell reprogramming  and presently show that when applied only 24 h after injury the main mechanism behind the restoration of glycaemic control is rescue of pre-existing beta cells. This observation matches with previous reports identifying pre-existing beta cells as the main source of new beta cells under conditions of moderate damage [1, 2, 30]. When pre-labelled, the majority of the insulin+ cells in ALX1dCK mice remained reporter positive. Under these experimental conditions, the beta cell cycle was not activated and the number of apoptotic beta cells decreased, strongly suggesting beta cell rescue as the driving force behind normalisation of hyperglycaemia. While the cytokines protect the beta cells from further degeneration and eventual death, a refractory period in terms of beta cell function may be needed, causing hyperglycaemia during the first days of treatment in ALX1d/CK mice. Only after sufficient repair can the normal physiological control be reinstated. It is, however, obvious that the same cytokines exert different effects depending on the timing of treatment and the level of tissue damage. 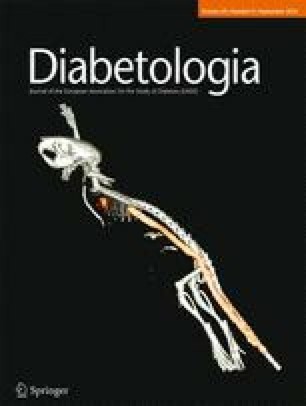 A significant decrease in the number of labelled beta cells was observed in ALX1d/CK mice when compared with NG and ALXCTR mice, indicating a non-beta cell origin of some of the insulin+ cells. Transdifferentiated acinar cells were a minor source of new beta cells and even fewer beta cells originated from duct cells. Other non-beta cell types may be reprogrammed to contribute up to 15% of the new beta cells, although these cell lineages were not traced in the current study. Importantly, normalised glycaemia following acute diabetes remained stable over time, indicating that beta cells with a lasting function were generated by this protective response. The additional loss in body weight despite the improved glycaemic control in the cytokine-treated mice is most likely the result of a peripheral effect of CNTF, mainly at the level of the fat tissue. An anti-obesity effect has been documented before and appears regulated through activation of leptin-like pathways [28, 31]. These observations have been substantiated by phase II clinical trials using the CNTF analogue axokine, showing a diet-independent loss of body weight . The role of EGF and CNTF in beta cell protection and regeneration is unclear. Egf-null mutant mice show no change in the pancreatic phenotype, probably due to redundant expression of ErbB ligands . In adult pancreas, EGF receptor (EGFR) is detected in islet and duct cells, but not in acinar cells . CNTF is expressed by pancreatic beta cells , attenuates insulin release and supports beta cell survival through STAT3– suppressor of cytokine signalling 3 (SOCS3) activation [36, 37]. Our data confirm the protective effect of the CK on residual beta cells through prevention of apoptosis when applied immediately after ALX injection. Examination of contributions other than from beta cells is, however, needed to fully explain the effect on beta cell mass in this model. Cytokine treatment of mice following short-term hyperglycaemia activated expression of the pro-endocrine embryonic transcription factor NGN3 [38, 39]. The expression of NGN3 increases in the injured pancreas of normoglycaemic adult mice  and is low in beta cells of normal adult mice [25, 40]. As the appearance of NGN3 was restricted to the acinar parenchyma, a cell-autonomous effect of NGN3 in beta cell recovery is questionable. More likely, acinar cell reprogramming is initiated without reaching completion, in contrast to the full acinar-to-beta cell transdifferentiation seen with EGF+CNTF in mice with long-term hyperglycaemia . The failure to draw sufficient numbers of new beta-like cells from the acinar population is further substantiated by the observation that the highest number of NGN3+ cells was found in animals that were unresponsive to the treatment. We assume that in responsive mice, a faster rescue of beta cells in distress alleviates hyperglycaemia and therefore eliminates the need for new beta-like cells from non-beta populations. The effects of artificial blood glucose control through insulin pellets substantiate this claim: when glycaemia is controlled by exogenous insulin, no apparent beta cell rescue is observed. In addition, exogenous insulin treatment lowered the transcript levels of Ngn3 from that normally observed following cytokine treatment, suggesting that hyperglycaemia may act as a trigger for cytokine-induced Ngn3 activation. In unresponsive mice, hyperglycaemia persists and more progenitors can be activated under these conditions. As these NGN3+ cells do not complete transdifferentiation to functional beta-like cells, an important role for the duration of hyperglycaemia on acinar cell priming can be hypothesised. Indeed, cytokine treatment in long-term diabetic animals activates the large number of NGN3+ cells necessary to drive beta cell differentiation and the mice with most NGN3+ cells are also most responsive in terms of normalisation of glycaemia . However, the exact mechanism underlying cytokine-induced Ngn3 activation remains elusive. Based on our previous report on cytokine effects in mice with long-term hyperglycaemia , we concluded that STAT3 activation is a critical trigger for cytokine-based Ngn3 activation in the acinar compartment. We now postulate that NGN3 re-expression is not part of cytokine-mediated beta cell rescue, but rather reflects the cytokine effect on acinar cells leading to initiation of acinar-to-beta cell transdifferentiation. The effects observed after deleting Stat3 specifically in acinar cells further support this idea. On removal of STAT3 prior to the insult, cytokine-treated mice no longer possess the capacity to activate NGN3 expression and increase their number of NGN3+ cells. However, Stat3 deletion from acinar cells does not affect the possibility of EGF+CNTF protecting the pre-existing beta cells as the success rate of normalisation of hyperglycaemia in acinar-specific Stat3 KO mice is comparable with that in Stat3 WT mice. The extent of restoration of the beta cell mass is very similar in cytokine-treated mice with acute and chronic hyperglycaemia, despite the different underlying mechanisms, possibly because of the minimal beta cell mass that is needed for reinstatement of normal glucose control. Once hyperglycaemia is alleviated, the trigger for beta cell regeneration, through either rescue or neogenesis, is removed and the physiological requirement for additional beta cells becomes obsolete. Insights into the mechanisms of beta cell death and the potential pathways to prevent this are instrumental in devising new strategies to alleviate beta cell stress and death. Taken together, our current and previous studies  show how the level of tissue damage determines the choice between protection of residual beta cells and fate re-specification of acinar cells. The present findings may aid in developing new ways to intervene in beta cell death and preserve an existing beta cell mass sufficient to maintain stable glucose control in a setting of recent-onset diabetes. Special thanks to V. Laurysens, A. Demarré, E. Quartier and J. De Jonge for technical advice and assistance. We thank Y. Dor, J. Ferrer, C. Wright, G. Gradwohl, M. Hara, D. Stoffers and B. Gao for providing the different transgenic mouse strains used in this study. LB is an advanced postdoctoral fellow of the JDRF (3-APF-2014-183-A-N). Financial support was obtained from the Research Foundation – Flanders (FWO) (HH, LB), the Juvenile Diabetes Research Foundation (HH), the European Foundation for the Study of Diabetes (EFSD) (LB), DON Foundation (www.sdon.nl) (HH), Interuniversity Attraction Pole network VII-P07 DevRepair (HH) and the European Union Sixth (LSHB-CT-2005-512145), Seventh (HEALTH-F5-2009-241883) Framework Program (HH). All authors were involved in the acquisition, analysis or interpretation of data. ML, SDG, GS, LB and HH were involved in the study concept and design, drafting and critical revision of the manuscript. All authors approved the final version of the manuscript. HH is the guarantor of this work and, as such, had full access to all the data in the study and takes responsibility for the integrity of the data and the accuracy of the data analysis.